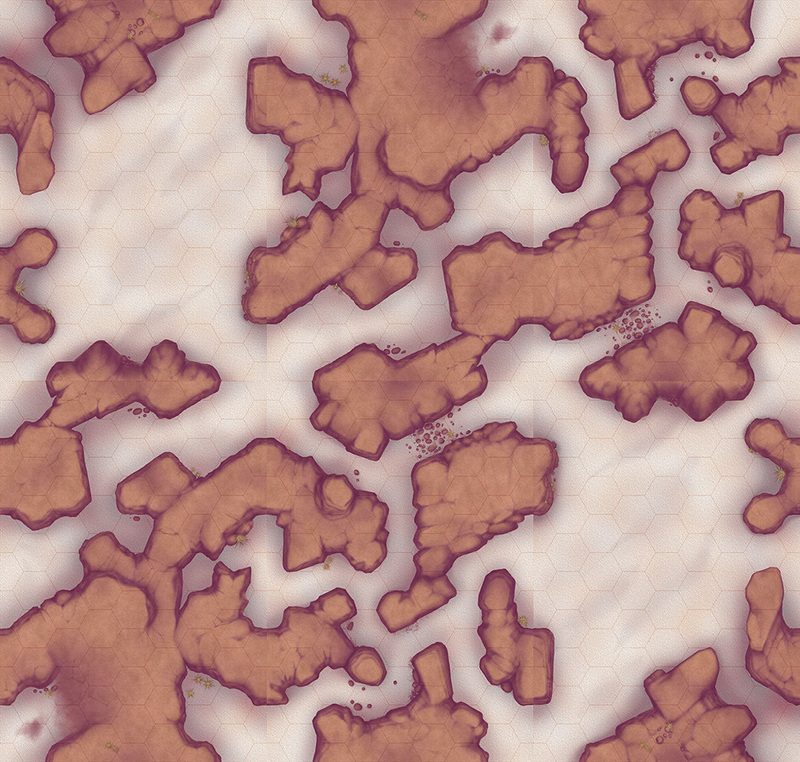 This week I've decided to start work on a series of infinitely tile-able hex maps I've been thinking about for a while. I may be avoiding the fiddly-work required to finish off the Blade Bind Sparring Partner, but at least I'm procrastinating productively! The maps are designed to print comfortably on both A4 and Letter size paper, and feature 1-inch (25mm) hexes. I did get a bit worried that they might be a bit small, but totally scientific polling on G+ points to a majority preferring more hexes per page than the larger alternative. The first set I'm working on is Winding Canyons, with arid rocks and sand. Tonight I finished off the third of six planned maps. Here's a preview where I've tiled two copies of all three together. I've made an effort to make sure the rock edges tone together pretty well, but the sand shading is a little less well blended. I'll make some cacti for a couple of the other tiles to provide a bit of variety from the dry grass and loose stones. One of the cool things about this particular design is that you can not only rotate and tile the sheets as shown, you can "brick-tile" them by slipping every second column down by half an edge-length, which results in even more potential layouts. Other sets I have planned include Forest, Swamp, Ruins, City, and maybe more. I'm planning on making six map tiles for each, and putting them up on DriveThruRPG for $3 a pop. I managed to program how to deal with someone playing a Joker on an Engage (including the edge-cases of someone playing two Jokers in succession, or both players simultaneously playing a Joker), but it was pretty challenging to keep track of and debug everything. I needed a bit of a break before I tackle the same basic programming for Winds, and then hunt down all the other places where the AI might play a Joker and fill in a few other functions. After that, I'll see if I can get someone to help with external testing, and work on enhancing the interface. 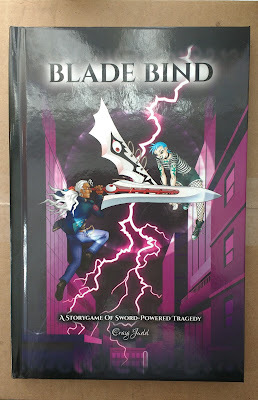 I'm still editing Altais: Age of Ruin, and have also done some short scenario edits for Arcana Games. Last week I finished off the M.A.S.S. art, and I've now been engaged to illustrate a spin-off book. I should be pretty busy until the end of June, but I always have room to take on extra jobs!